Amazon Appstore coming to the UK this summer? The Amazon Appstore is all set to arrive in Europe this year and should hit the UK in the coming months. This is according to 'sources close to the matter' who claim that Amazon is gearing up to launch its Android Appstore in Europe in the summer and devs are to get the chance to submit their apps to over the next few weeks. If this is indeed the case, then it's fair to speculate that a Kindle Fire UK release date shouldn't be that far behind. The Amazon infrastructure for the Kindle Fire isn't in place in Europe yet, but the launch of the Amazon Appstore will go a good way to remedy this. Add the 'already over here' Lovefilm and Amazon's Kindle store to the mix and what you have are the necessary online shopping carts for the Fire to burn bride on this side of the pond. Since its launch, the Amazon Appstore has enjoyed a modicum of success, its numerous exclusive apps and low costs tempting Android users away from Google Play in the US. And when it comes to the Kindle Fire, Amazon has never commented on units sold but have noted on one or two occasions that it's its best-selling device ever. There has been much rumour and speculation about the launch of the Kindle Fire 2 and its proposed launch date of mid-2012, which marries quite nicely with this latest development. 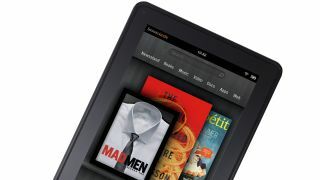 It's highly unlikely Amazon will offer the older Kindle Fire to the UK and Europe, but stranger things have happened.